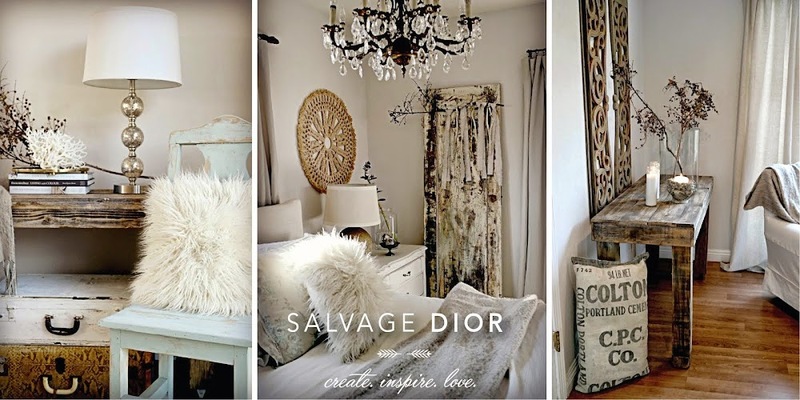 Salvage Dior: White Wednesday "tea party"
and your displays are fantastic, I really enjoyed looking. Why does so much of those beautiful things look so familar??? Right, because they are at the store, what's the name? Actually I think all of those little jars sold this week-end. As always awesome photos! That is one big teacup:)...but I agree...the cart is awesome! Happy Easter! I love the huge teacup. Everything looks just lovely. Kate, I love how you mix the industrial and rustic with the white and gorgeous. It takes a pro to pull off that look, and you do it so well! I want to be you when I grow up! Kate, I am in LUST with cart :) Have a great Wednesday. Kate ~ Hi there~ I have always adored white wrought iron furniture so this table is gorgeous!!! God has blessed you with a wonderful knack for displaying items - it all looks so appealing. Very cool metal cart. Hi Kate! Thank you for visiting my blog and space. We have to meet each other one of these days. I'll be at CR Friday morning I might run into you! Happy WW! Love the cart you found, simply perfect! your space looks fabulous!! Happy Wednesday! Looking good, Kate! That metal bar cart is 2die4. I just found an industrial looking side atable with wheels for my porch. I'm loving that stuff. Hope you are having a great week. I wish I could be back there on the beach right now. It's raining cats and dogs here. LOVE LOVE LOVE the giant tea cup! That would be a great addition to my collection! And that cart - what an awesome find! Thanks for stopping by today! Have a wonderful White Wednesday! I thought you might like www.acottageindustry.typepad.com and www.camasantiques.blogspot.com. It's right up your alley. They have some beautiful pics of all the wonderful things they have on display. BTW, I'm loving your display, esp drooling over that white iron urn on your cart! Hope you're feeling better. The cart is very cool! Industrial chic at its finest! I'm also really liking the wooden box with the horseshoe as a handle...what a cute way to repurpose a horseshoe! I never would have thought of that! Hope all is well! And I hope you have a wonderfully Happy Easter! Happy Easter! my sweet friend... I am wishing a weekend full of blessings. Beauty and perfection! Loved everything!! Enjoy your displays and the opportunity to see more of what's in Country Roads, someday soon I am going to walk in an surprise you all! White Wednesday " the junk inside my trunk"
White Wednesday "the back porch"